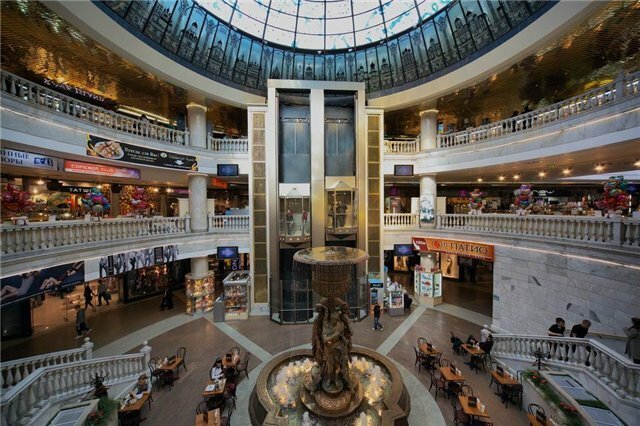 Just like in other large cities, in Moscow you can find large shopping malls, shopping streets, large specialty stores and markets dedicated specifically to the sale of souvenirs, like the famous matrioshkas or memories of the former USSR. 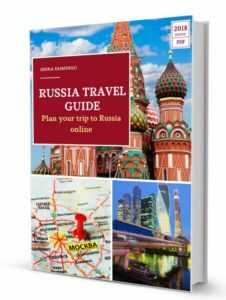 Throughout Moscow it is possible to find several shopping centers, among which you can find the GUM (in the middle of Red Square) and shopping streets like the Old Arbat, markets such as Izmailovo and gourmet specialty stores, toys or other products . 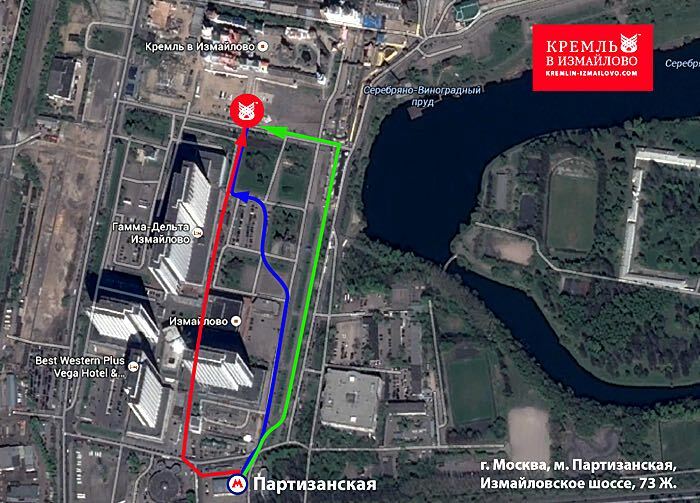 In this article I will review the main shopping areas in Moscow. Discounts. 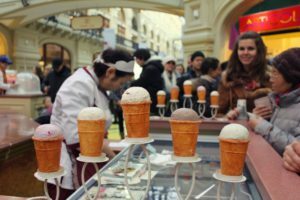 The sales outlets in Russia usually take place in two periods: winter sales, which are made during the month of January, while the summer are held throughout the month of June. Business hours. Shopping malls and downtown shops are usually open every day from 10 am to 22 hours. Payments. Done in card or cash (in rubles). 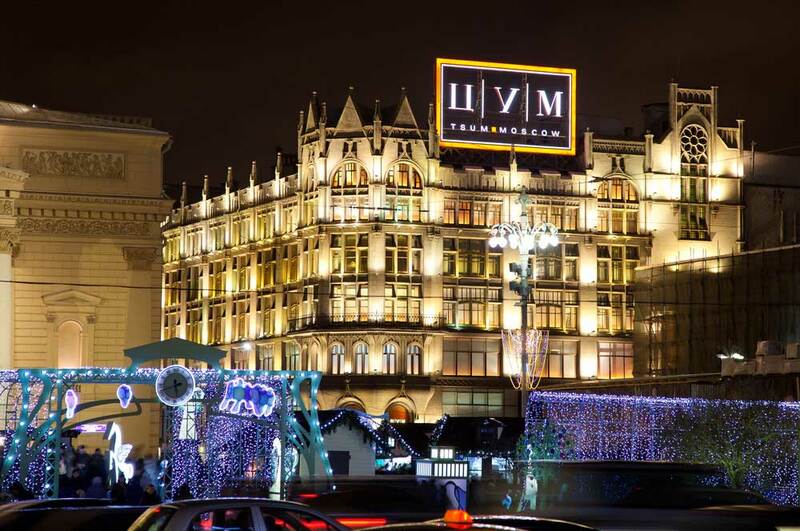 In the section of commercial galleries, I would highlight three, all of them located in the center of Moscow: the GUM, the Okhotny Ryad shopping center and TsUM. GUM Galleries (“Main Universal Stores”, ГУМ, in Russian) are the best known shopping center in Russia and the most visited by tourists in Moscow as it is in Red Square. Many of their stores are dedicated to selling Western luxury brands. However, not all are luxury shops in GUM galleries, you can also find more affordable brands and gift shops and souvenirs. In any case, even if you don’t buy anything, a visit to the building is essential, both for its imposing facade of 242 meters long and for its majestic interiors. Its construction dates back to 1890 and combines elements of Russian medieval architecture. In the years before the Russian Revolution there were about 1,200 stores, while during the Soviet era it was nationalized. When the Soviet Union disintegrated, it was privatized. If you visit the GUM in summer, I recommend their mythical ice cream in one of the kiosks on the ground floor. Ice cream served with a scoop of chocolate, cream or other different flavors, on a biscuit shaped glass. If you are in the Red Square and it’s time for lunch, on GUM’s third floor it is possible to eat Russian or Italian specialties for 10 euros per person. Also, if understanding problems arise, as the restaurants are buffet-type, just point your finger at that dish that looks good. Outside there are dining terraces and you can admire the stunning interior of the building of GUM galleries. On the first floor there is a supermarket where you can buy Russian gourmet products such as caviar or drinks like vodka, though prices tend to be higher than usual. Stores: Louis Vuitton, Moschino, Max Mara, Corneliani, BMW, Dior, Cartier, La Perla, Gucci, Miu Miu, Burberry, Aritcoli By Bosco, Emporio Armani, Paul & Shark, Bulgari, Hermes, Timberland, Gant, Barbour, Napapijri, Rendez-Vous, Escada, Calvin Klein, Lacotes Levi’s Store, etc. Hours: the GUM opens daily from 10 am to 22 hours. It’s an underground multi-level shopping mall located very close to Red Square, under Alexander’s Gardens and next to the Kremlin. It has its own subway stop (Okhotny Ryad). This is a large modern shopping center where you can find shops of all kinds (such as Zara, Mango, Adidas or Lacoste) and chain restaurants of both international fast food (Burger King, KFC or McDonald’s) and Russian (Teremok or Kroshka Kartoshka). You can also find gift shops or souvenirs. Stores: Zara, Mango, Pull and Bear, Converse, Reebok, Rendez-Vous, Swaroski, Stradivarius, Samsung, L’Occitane, Lacoste, Intimissimi, Victoria Secret, Mac, Yves Rocher, Calzedonia, Promod, Quicksilver, etc. The Great Tsum Department Stores (Central Universal Department Store, or ЦУМ in Russian) are in a historic six-storey neo-Gothic style building, located next to the Bolshoi Theatre. With over 60,000 square meters you can find more than 1,500 brands of clothes, shoes, perfumes, cosmetics and accessories, many of them are luxury items. On the ground floor you can find a collection of perfumes, cosmetics, accessories, jewelry and imitation jewelery; on the second floor there are collections of menswear and on the third floor collections of women’s clothing brands. On the fourth floor you can find more affordable women and children’s clothing fashion brands. Brands: Dolce & Gabbana, Valentino, Saint Laurent, Alexander McQueen, Tom Ford, Lanvin, Belstaff, Chloe, Balenciaga, Givenchy, Bottega Veneta, Roberto Cavalli, Celine, Michael Kors, Loro Piana, Jimmy Choo, Emilio Pucci, Marni, etc. Hours: Open Monday to Saturday, from 10 am to 22 hours, and Sundays from 11 am to 23 hours. Afi-Mall: located in Moscow city skyscrapers. 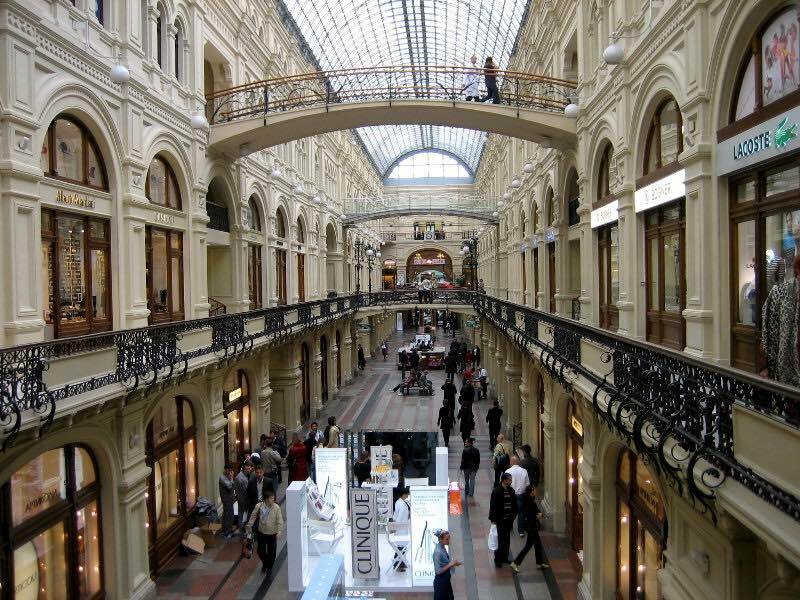 Petrovsky passage, a shopping gallery in the historic downtown area that is worth visiting. 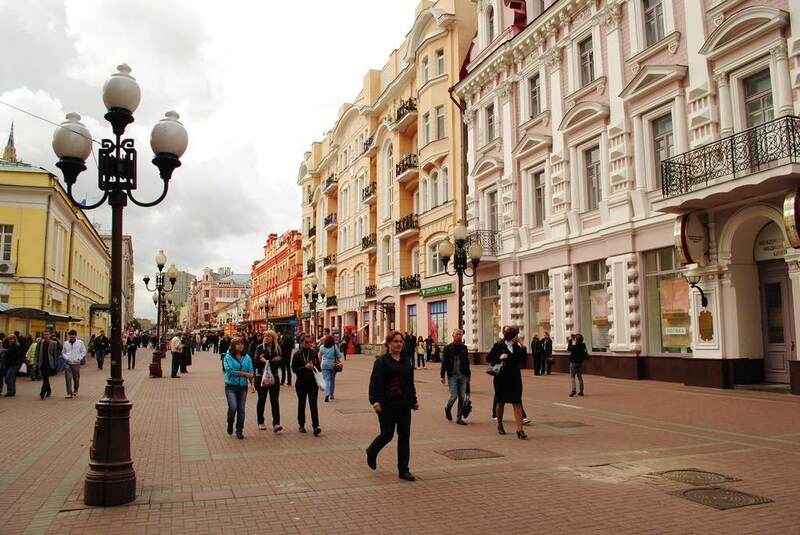 The Arbat street is a pedestrian street of about 1 kilometer in length and situated in the historical center of Moscow, surrounded by historical buildings. In the eighteenth century it was considered by the Russian nobility as the most prestigious place to live, though it was completely destroyed by fire during the occupation of Moscow by Napoleon in 1812. After its reconstruction, this street has been the place inhabited by artists, academics and Russian nobility. Today, this street is one of the biggest tourist attractions in Moscow and you can find many shops and souvenir stores, as well as cafes and restaurants. Being a tourist place, prices tend to be higher. 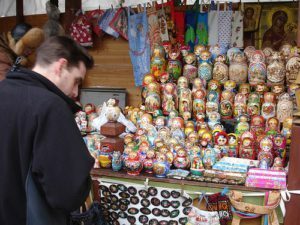 Izmailovo market is ideal for buying the most varied souvenirs: the famous matrioshka nested dolls, handicrafts, leather, paintings, souvenirs of the former USSR (Soviet medals, Cossack sabers, Soviet caps, etc). The market is built like a Russian medieval citadel formed by a series of colorful towers. Prices are more economc of what you can find in downtown shops and payments are usually in cash. Keep in mind that this market is far from the center (northeast of Moscow) but taking the subway you can get to it quickly (Metro Line No. 3 – Stop in Partizanskaya). In weekends, especially on Saturdays, it’s when the market is more crowded and all stops are open. It is a good day to visit the market. If you go midweek you may find yourself with many stops closed. 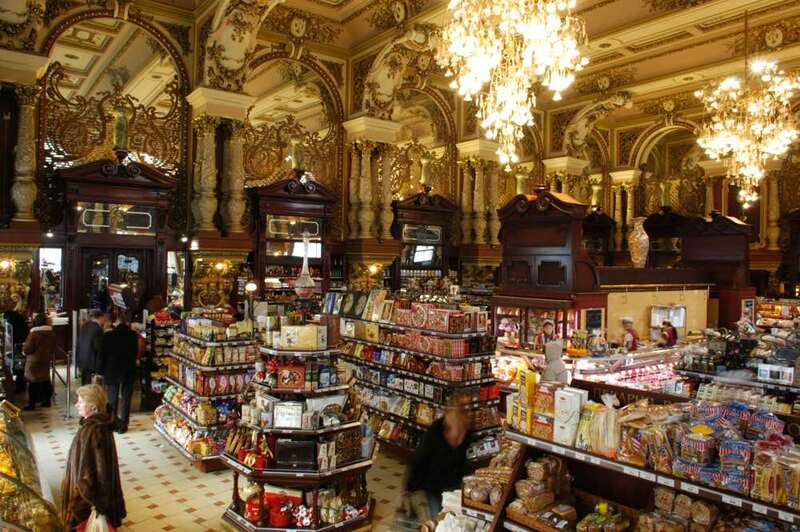 Eliseevsky food store is one of the most famous in Moscow. Opened in 1901, it is located at 14 Tverskaya Street. It has luxurious interiors, very rare to see in a grocery store. It was one of the favorite stores of the Russian nobility for its import wines and gourmet food before being nationalized during the Russian revolution. Today it is a very visited store where you can buy very diverse products and it’s a good place to buy gifts like vodka, caviar and other typical Russian products. 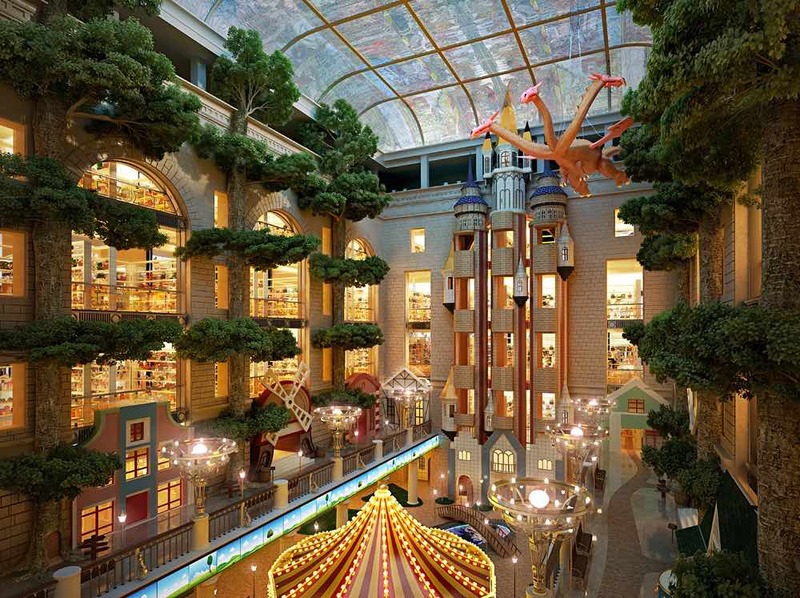 Central Children’s Store is a shopping and entertainment center with 7 floors intended for children of all ages. 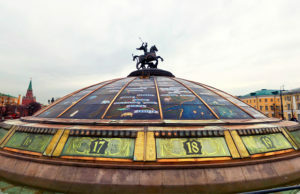 It is located near Red Square and next to the Lubyanka subway station. If you travel with children, this center is an ideal place to make a stop and enjoy the many family activities that are available within. Hours: Open daily from 10 am to 22 hours. 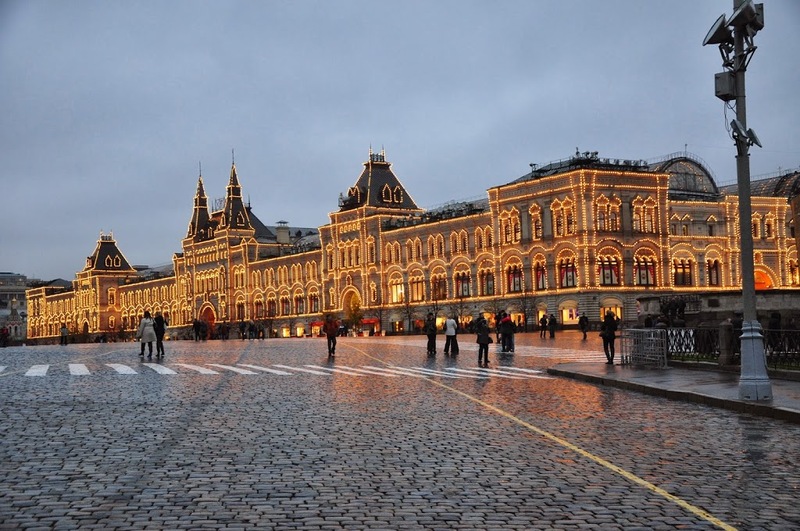 I hope this article helps you organize your shopping itinerary in Moscow. If it has been useful, you can help by sharing it on your social networks. Thank you very much for reading.